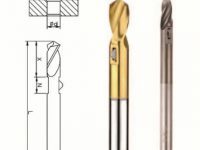 How Integrated Drilling, Chamfering and Deburring Tools work? 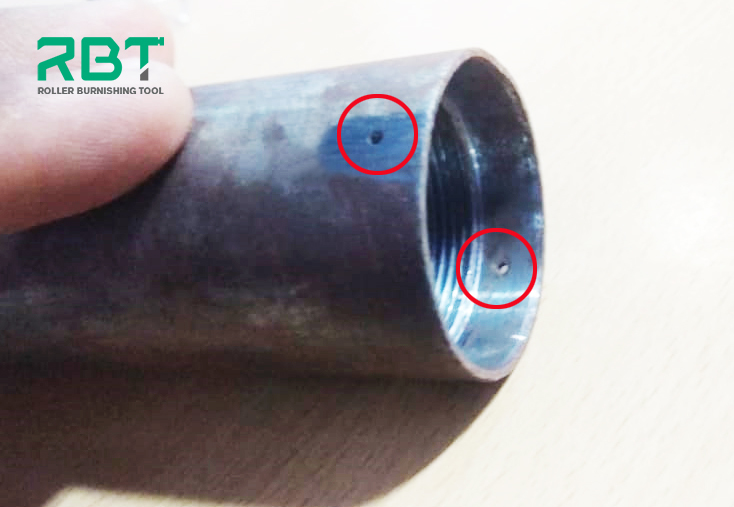 During processing with the Integrated Drilling and Deburring Tool, First step, a through-hole is drilled through the drill bit and drill bit centering. Second step, upon entry, spring tension holds the cutting blade in the extended position as it removes the burr on the front of the hole. Third step, as the feed load increases, the pre-set spring tension is exceeded and the blade retracts automatically as the tool passes through the workpiece. Fourth step, spring tension again causes the blade to extend as it emerges from the ID of the part; the burr is removed on the back side of the hole on the return stroke. How the Chamfering & Deburring Tool works? 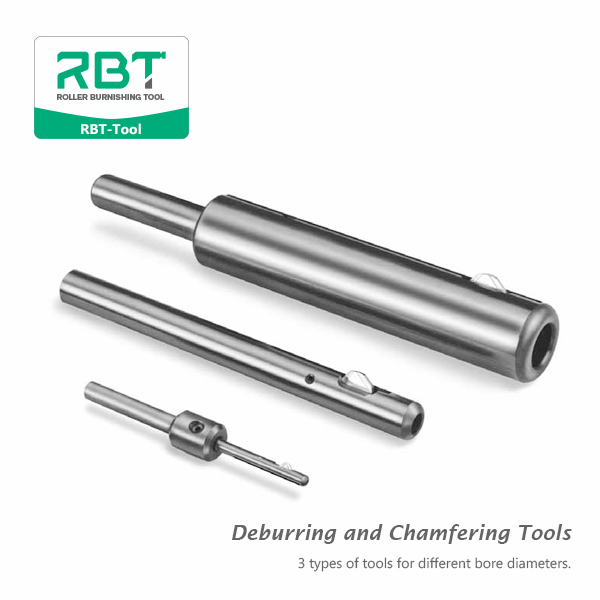 Chamfering & Deburring Tool is designed and developed to solve the Chamfering work that traditional cutting Tools cannot complete. In mechanical manufacturing, the traditional Chamfering & Deburring Tool, Chamfering & Deburring Tools, Chamfering and Deburring Tools Manufacturer, Chamfering and Deburring Tools Supplier, Chamfering Tools, Deburring Toolstool can not complete the Chamfering & Deburring work for double-sided cylinder inside and outside hole wall, all kinds of valve body hole wall. 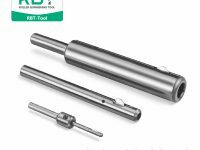 But RBT Chamfering & Deburring Tools are fully qualified. Introduction to product structure: the Chamfering & Deburring Tool consists of arbor assembly, adapter assembly, blade (single and double blade) and tension spring assembly. The front end of Chamfering & Deburring Tools is the inlet guide body, the front end of the blade is 45°, the inner end is 33°, and the groove mouth is 6°. How it works: when arbor body of Chamfering & Deburring Tool enters the hole, the cutting edge of the blade relies on the elastic strength of the tool bar to chamfering and deburring the hole. After the completion of the hole, then enter the opposite end of the hole for chamfering and deburring. The diameter of the blade is changed by elastic shrinkage. The outer circumference of the blade is processed by chamfering, so it will not cut or damage the original hole wall. 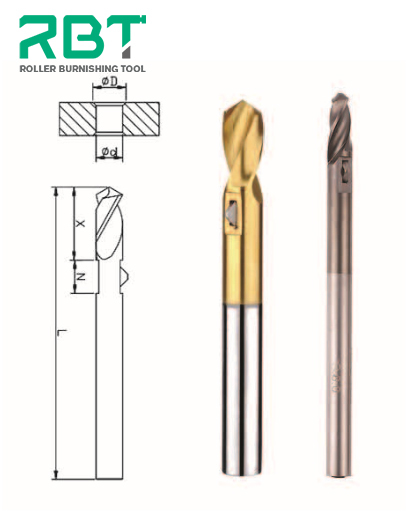 Chamfering & Deburring Tool opens naturally after the hole is drilled for Chamfering cutting. When the tool body penetrates into the lower end of the hole wall, no matter it is opened or closed, the corresponding chamfer cutting will be generated. In particular, when returning the tool, the blade is closed, and the 33° Angle of the inner end is changed into approximately 45° Angle, which can reach 45° of chamfering Angle.